Make the world your classroom by experiencing study abroad! 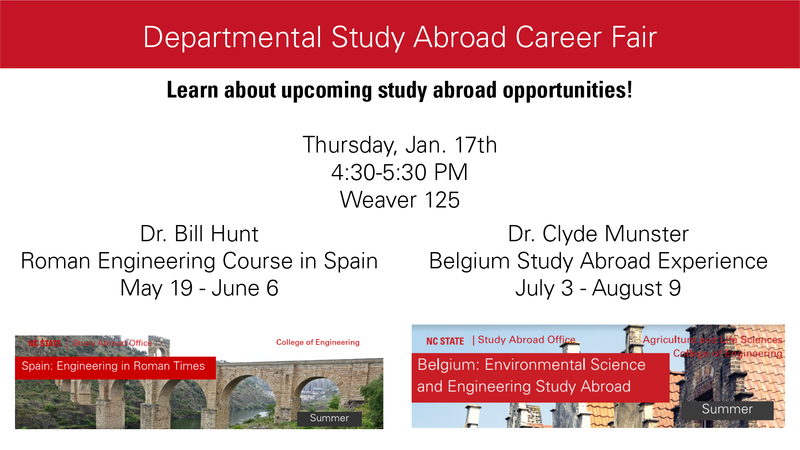 Come learn about two study abroad programs especially relevant to BAE students: Engineering in Roman Times in Spain and Environmental Science and Engineering Study Abroad in Belgium. Dr. Bill Hunt will lead the Roman Engineering Course. 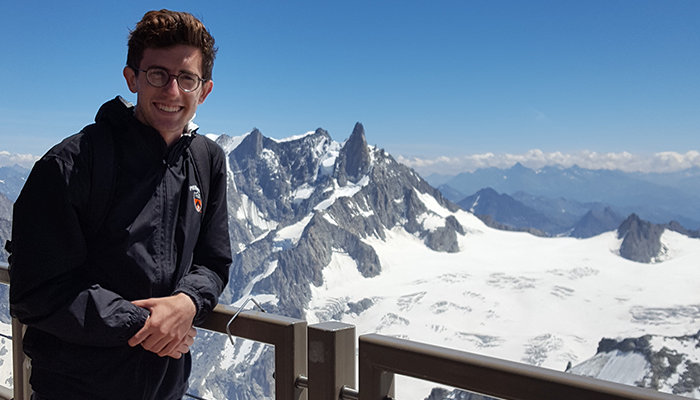 The Belgium course is held in conjunction with Texas A&M University and is led by BAE alumnus Clude Munster. The study abroad fair and presentation will take place Thursday January 17 from 4:30-5:30 in Weaver 125.